we’ve recently made a planning application for a modern extension to our clients house in broughshane ballymena. flat roof with timber cladding inset, along with plenty of glazing to look over the garden & patio area. 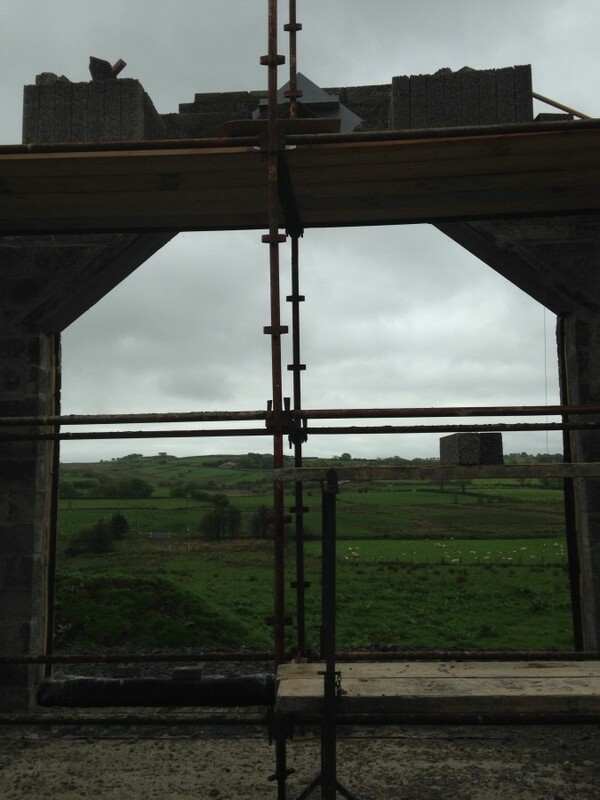 the brickies are building up the gables, to get the truss roof on in the next few weeks….just need the weather to hold off. 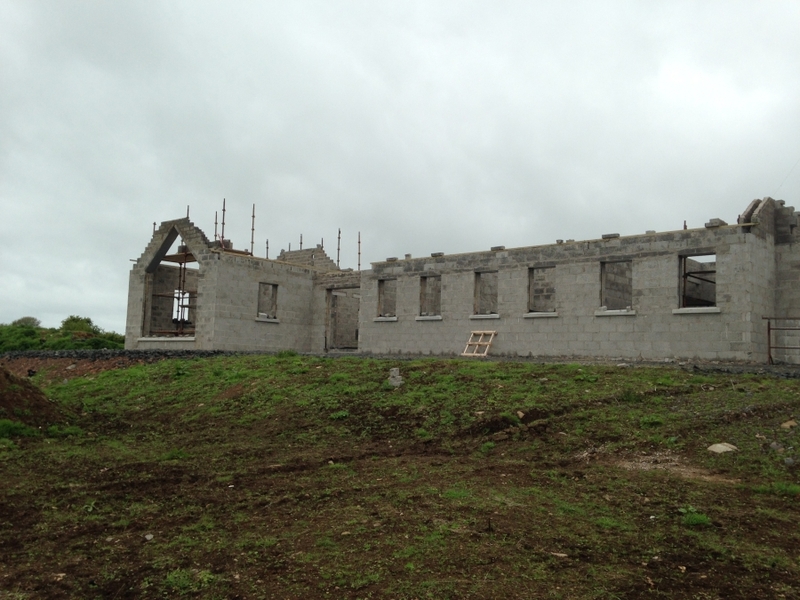 On site last week with our project in lisnahilt, outside broughshane, ballymena. 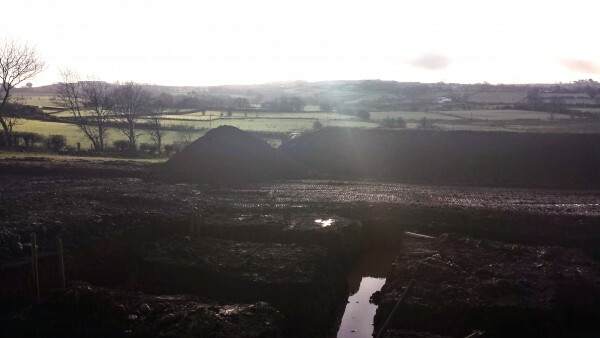 Founds dug out for the house/garage & stable – and luckily, the concrete poured, before the rain poured!! 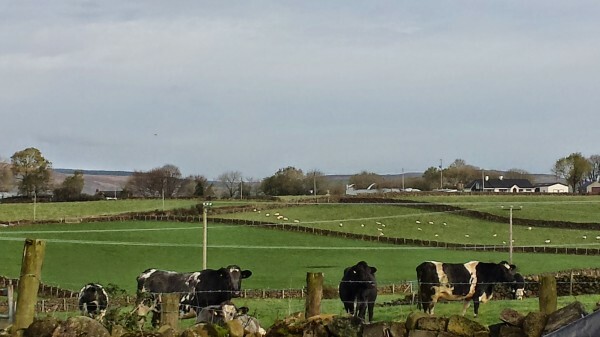 Slemish Design Studio architects have been appointed as architects for a modern barn conversion outside Broughshane, Ballymena in Carnalbanagh. 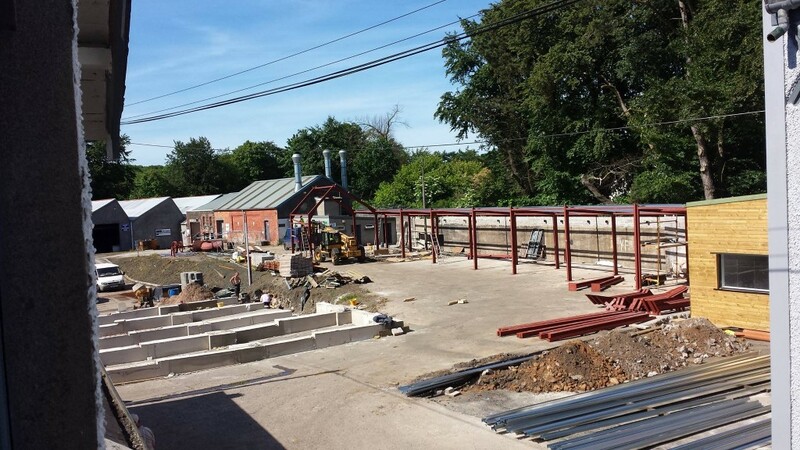 the enterprise units have started on site….great to see. We have confirmed a number of times we want a safe, family and tourist friendly path at Raceview, to replace the old muddy and dangerous one which was normally used only by dog walkers. 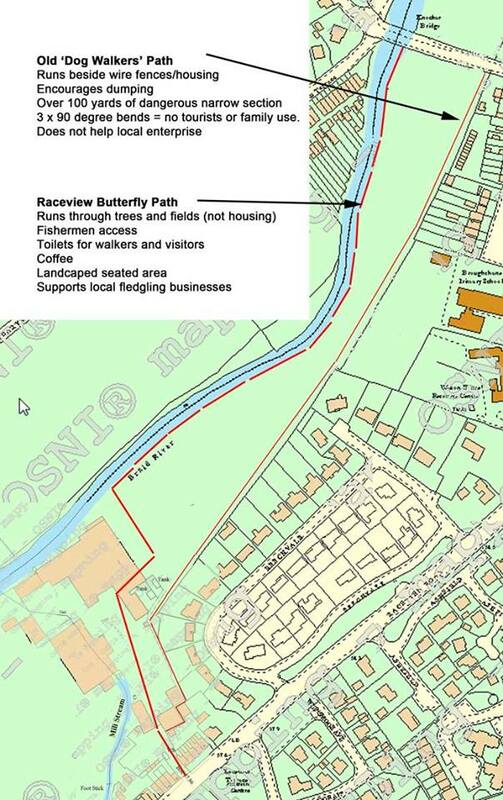 We are delighted therefore to announce our proposal for a BUTTERFLY path running from the Knockan Road, all the way along the river, through the mill to the Raceview Road. This will be a tourist/family friendly path, with butterfly attracting plants alongside. Here is a comparison of the old path and the new one. To the side of the old path for most of the way are houses, high concrete posts and ugly wire fencing. … will run all the way along the river and trees, then through the restored mill. 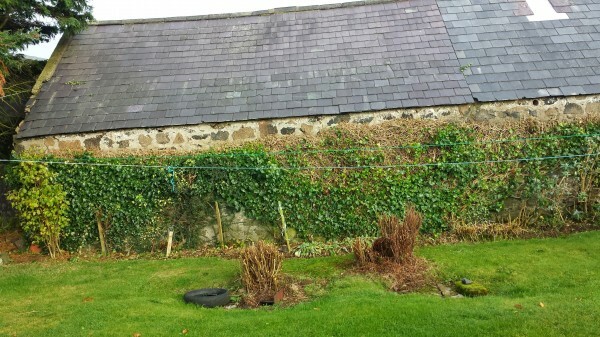 The old path runs along the primary school grounds endangering children, for instance from people taking photos over or through the fence. … is well away from the school. The old path has over 100 yards of a long, horrible, narrow section. In places little more than two feet wide. Pattons raised the height of the concrete wall to 11 foot, topped with barbed wire to keep out those who congregated there. … will have good width all the way. The narrow section of the old path has three, blind 90 degree bends. You cannot see who is coming behind you, or who is up ahead. Unsafe and nasty. … will have no blind turns. Because of the narrow section it could not be made safe or suitable for tourists and families. We doubt any woman has ever walked it without holding her breath. … will be one where you will want to take visitors, completely safe and insurable – a tourist magnet. At the mill end will be toilets, places to sit and relax, have a coffee and a browse around the restored mill if you wish. … will help the local economy by providing passing trade for the local fledgling businesses in the craft and enterprise units. We are convinced the old path was a permissive right of way, not a public right of way. Given the evidence we have collected, we believe the council’s investigation will confirm this. We had to close the old path for safety reasons and we did so properly after consultation with council officers and giving proper written notice. Sincere thanks to those forward thinking members of the Broughshane community who have been so supportive to date. Raceview Mill is a commercial venture but that does not mean it cannot also be an asset to the whole community. Conceptual 3D visuals of what the enterprise units will look like at Raceview Mill, Broughshane. 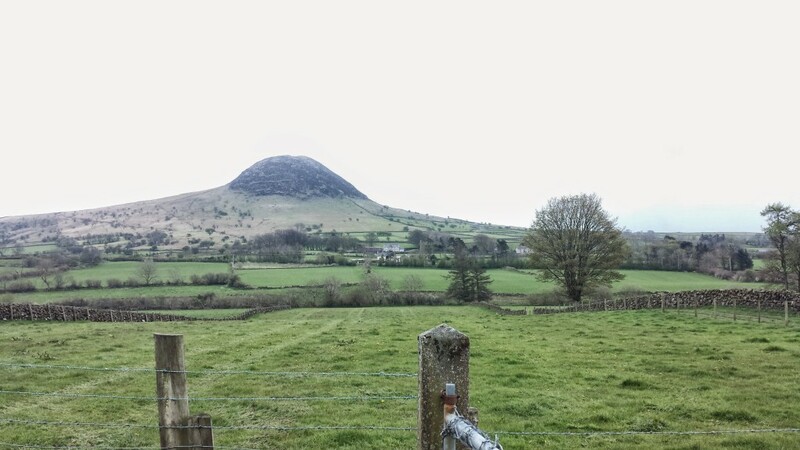 Slemish Design Studio Architects are working along with Ross Planning, planning consultants and our clients Raceview Mill Ltd.
Our plan is to create a spectacular mixed-use development that will draw tourists to the village of Broughshane. The first phase is to build a new workspace for local enterprises. These will be designed in a similar style to the other mill buildings. These could be opened in February 2104 and leased from £35 a week. Other options are that he old mill buildings could be used for storage for the units and arts and crafts area. A later phase hopes to see the creation of boutique hotel rooms; these will overlook the Braid River and the transformation of the main building in to a restaurant, remodelling the old water tower in to a glass tower with views of Slemish. Some good news in this morning…. Our house in Glarryford is coming along great on site. And we’ve a meeting set up tomorrow evening for another exciting project in Glarryford!!! 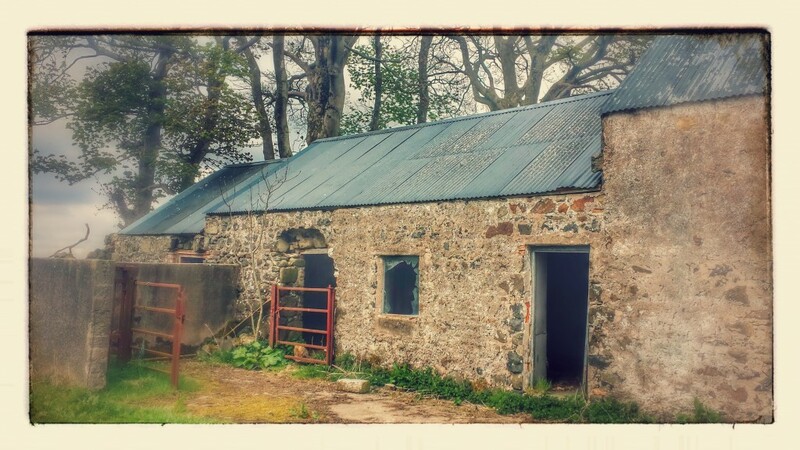 Nice wee roll into the Easter Holidays, plus plenty of pictures to update our page with. Happy Easter from Slemish Design Studio & see you all after the break. 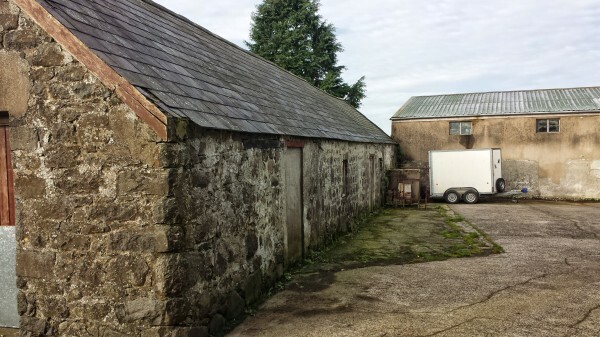 broughshane playhouse – a new project!! With it being half term, the girls are off school and bored. 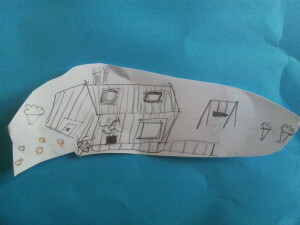 So after a lot of running in and out looking at the back garden I was handed this drawing!! I’ve also been told it’s to be built for the good weather and they want to see the drawings before it’s built!! These pair could be hard to work with if they don’t get their way, so operation playhouse is getting started. 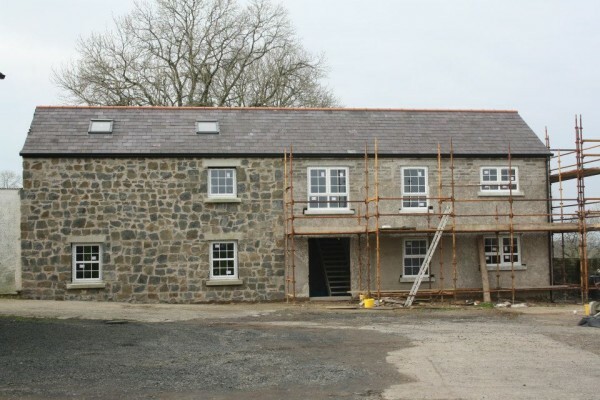 Just got a few photo’s emailed though for our Broughshane barn conversion. 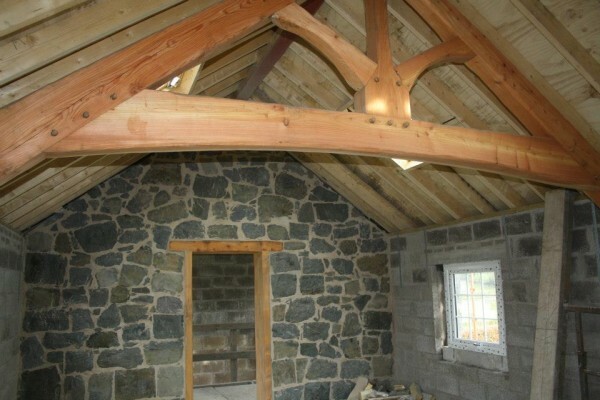 with the windows in and the roof on, it’s starting to dry out, which gives the stone a real lift.